A simple story told in comic-book form about a baby that does a lot of hugging.... with one caveat! Baby likes to cuddle. Grown-Up lets him cuddle the rug, the jug, the bug and the slug. 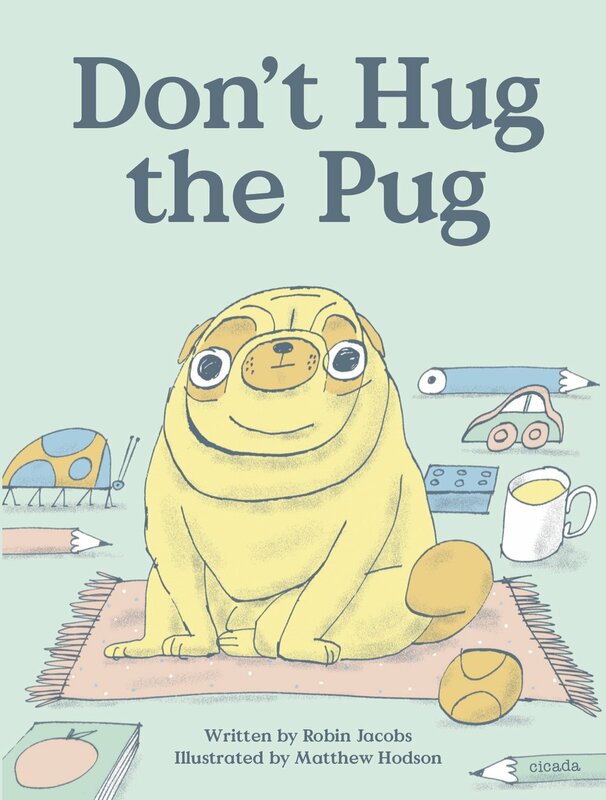 But DON’T HUG THE PUG! Why not? What’s wrong with the pug....? A hilarious and deceptively simple story that will have little ones shrieking with laughter. The combination of speech bubbles, rhymes, very short sentences and a stinky twist makes this a perfect book for both the pre-school audience and early readers. 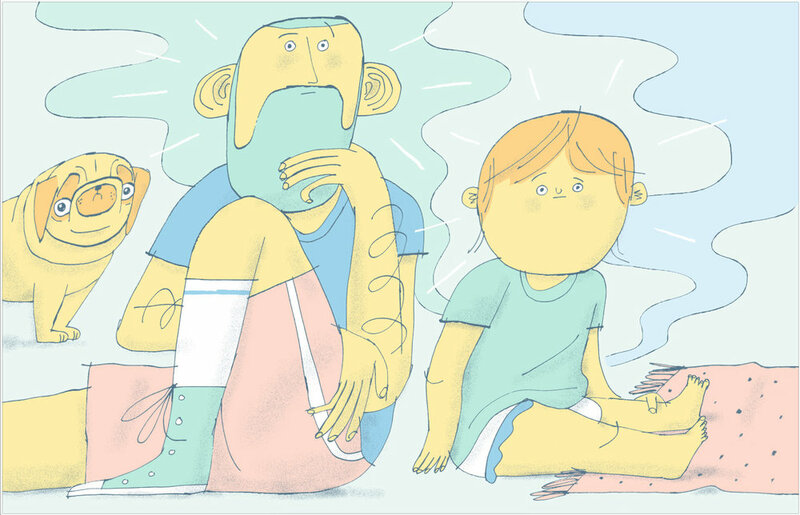 Matthew Hodson is a Leeds-based illustrator operating under the moniker Matthew the Horse. His editorial work has featured in The Guardian, New York Times, The Economist and countless other publications. He is a winner of an AOI award, 2016, and the author of a book of poems, Forwards Always. Robin Jacobs is an advertising creative living and working in London. Having trained originally in illustration, she runs screen-printing workshops around the UK and has curated a children’s print fair in Bristol. She is the author of You Are Here (Cicada 2015).